The Redevelopment Authority of the City of Butler (RACB) was established on June 6, 1961 by resolution of City Council under the provisions of the Urban Redevelopment Law, Act No. 385. Since 1961, the Redevelopment Authority has administered projects to increase economic development, provide quality housing, and eliminate blight within the City of Butler. 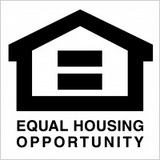 Funds are made available by the State of Pennsylvania and by the Federal Government under the provisions of Title I of the Housing and Community Development Act of 1974. They consist of Community Development Block Grants (CDBG) and HOME grants, as well as other numerous State and Federal programs.